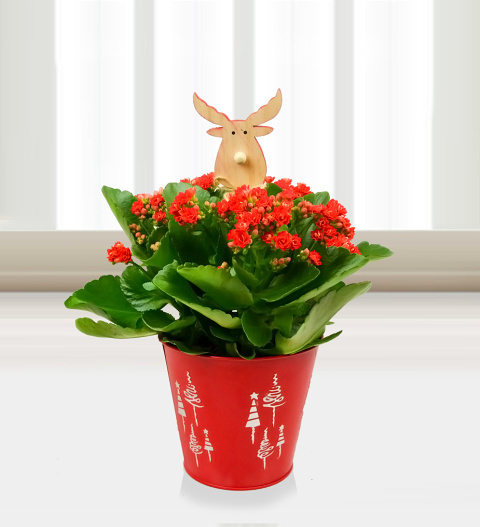 Take a look at this cheerful kalanchoe display with a curious reindeer peeking over the top! He can't wait to see his new home so send him and this beautiful flowering plant to one of your loved ones for Christmas. Lovingly presented in a red bucket, this plant makes the perfect holiday gift for anyone!